I think we all know the Batman story. As a young boy, Bruce Wayne witnesses the murder of his parents. He grows up struggling to contain his anger towards the man responsible. He wants revenge but soon realises that the murderer is but a small cog in the massive wheel of crime and corruption in Gotham City. Bruce decides to tackle the wider problem by becoming a symbol of hope for a damaged city. However, how will this crusade impact the damaged man? Having felt like one of the few people on the planet who hadn’t seen Christopher Nolan’s The Dark Knight Rises*, I decided this week to go back and watch the entire trilogy. That is 457 minutes of prime Bat time! As I was watching, it occurred to me that this trilogy is pretty darn special. It also occurred to me that this version of Batman is going to take some beating (yes Mr Affleck, I’m talking to you). There are so many reasons why The Dark Knight Trilogy is, well, dead amaze. Here are just some of them - I'm sure that you can think of many more. 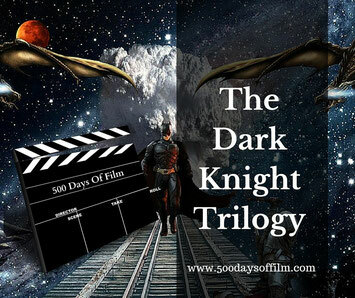 I just love the way Christopher Nolan tells a story - and boy does he spin a tale in his Dark Knight Trilogy. After watching all three films, I am just blown away by his direction and by how he made this well worn story feel new. Nolan also manages to pull all of the story strands together to create an ending that (for me at least) totally satisfies. Is it wrong to want more? Or can I watch them all over again please? One of the reasons why I love The Dark Knight trilogy so much is because every hero on screen feels real. There are consequences for every fight and we see them take their toll. Many critics view these films as the start of a darker, grittier and more realistic superhero phase and I (in my humble opinion) would agree. The Batman of The Dark Knight trilogy has something to lose and this vulnerability made me care about his character from the very start - and all of the way through. There is, of course, more than one hero in The Dark Knight trilogy. After all, Batman does not work alone. Alfred, Gordon, Rachel, Lucius, Blake and even Selina - they are all heroes to me. Nolan pulls such a great team together and they all have the most wonderful chemistry. Where Would We Be Without Our Villains? Where would we be without our villains? What is your favourite? Mine is Heath Ledger’s Joker. What a stunning performance. However, all the baddies in The Dark Knight triology work for me. They are all formidable, interesting and never one dimensional. 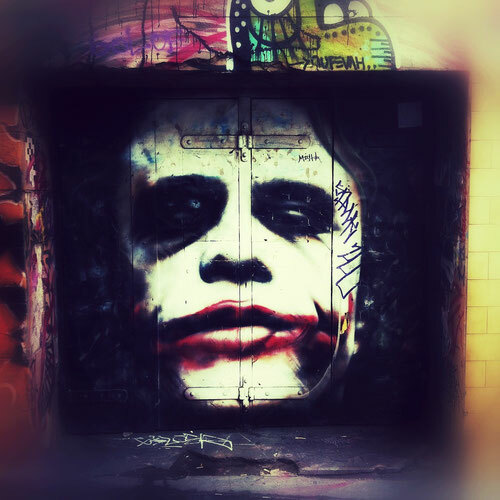 Goodness, could you get a more complex character than the Joker? Bane is pretty twisty too! They also pose a real threat to our heroes and often gain the upper hand. There were several times during the films when I felt genuinely worried about how Batman was going to beat them. As much as they are genuinely scary, the villains in The Dark Knight trilogy are also intelligent and motivated by a disgust for corruption that we all share. I really can’t imagine a better Batman than Christian Bale. Can you? He is superb. He manages to portray so many complex emotions and I understood them all. A tough act to follow that is for certain - and to be honest I am not even sure I want to contemplate another man donning that cape. I feel the same way about all of the other casting choices. They just seem perfect to me and I can’t imagine anyone else being in their shoes - well, apart from Rachel. However, as with most films, a number of different actors were considered for each of the central roles. For example, can you imagine Kurt Russell as Gordon? Apparently, both Russell and Chris Cooper passed on the role. Thank goodness. No one could fill Gordon’s shoes as well as Gary Oldman. No one. Batman Begins is a masterclass in the telling of an origin story. As I mentioned above, I love how this film takes a tale that we all know extremely well and makes it seem new. This is not an easy task. Christopher Nolan has to get from angry orphan to cape crusader without making any cringe-worthy missteps. If you think about it, there are lots of tricky questions to answer. Why be a bat must be the most problematic one. It is a credit to these three films that, from very early on, a grown man in a bat suit seems perfectly understandable. Cinematography is one of those (many) areas of film that I don’t know much about. I just know good cinematography when I see it and I see it in The Dark Knight trilogy. Each film looks gorgeous. The cityscapes are stunning. I just love looking at these films. Even small scenes, such as when Bruce goes to the opera with his parents, are just unbelievably beautiful. So, the gadgets in these films are awesome. The suit, cars, that bike (those wheels!) Need I say more? Perhaps just that I didn't realise that was what applied sciences meant. I have read some reviews of Christopher Nolan’s Batman films that have criticised them for being overlong. Now there is no doubt that these are not short films but at no point during any of them did I feel bored or frustrated by the pacing. Instead, I felt grateful that Nolan had the time to develop his epic story. There is a great balance of tension and humour in The Dark Knight trilogy. With a story of this intensity, I certainly needed a little joke break. In addition, the villains get some truly great one liners! Do you have a favourite? As I was watching The Dark Knight Rises, it suddenly struck me just how much tension was being created as a result of the film’s score. The use of music is so effective in this trilogy. I can see why the score for Batman Begins - composed by Hans Zimmer and James Newton Howard - won the Grammy Award for best score soundtrack for visual media. I so love these films - can’t see how Batfleck can possibly compete. Can you? Have you seen The Dark Knight Trilogy? Did you love it as much as me? Whatever your views, let me know in the comments section below. I'm happy to see how much you enjoyed the films. It's my all-time favorite movie trilogy. I agree with most, if not all of your points. They're just so incredibly well put together. I remember I was reluctant to even watch Batman Begins in theaters after the awful Batman and Robin, but I'm so glad I did. It instantly became one of my favorite movies. I love Nolan's more realistic approach to Batman. He creates such great atmosphere, and I love what he's done with the characters. Personally I'm not one who is too crazy about most superhero movies. They're often too over-the-top or play it too safe to really make me feel invested. As you stated above, Batman's vulnerability and struggle makes him particularly relatable and endearing. When I watch Marvel films, I know goodness will prevail and the good guys will win with little or no consequence. I'm especially bothered by Marvel's insistence on teasing us with danger, only to somehow miraculously clean everything up in the end. With The Dark Knight trilogy, I never knew if Batman would truly prevail. And if so, at what expense? The series isn't afraid to explore tragedy and loss, and it grounds the series into something that feels real and significant. The casting is nothing short of superb. Enough has been said about The Joker, I think, so I'd like to draw some attention to Carmine Falcone, brilliantly played by Tom Wilkinson in Batman Begins. He's a villain that I feel certainly doesn't get enough recognition. Of course, Scarecrow and Bane are both excellent and used to great effect as well. I admire the way in which Nolan carves his own path with Batman. He makes the story and characters more realistic and relatable, while still keeping them familiar. Of course, he draws upon the comics for inspiration, but he adds plenty of his own imagination (an obvious example would be Batman's new vehicles). I do like the casting of Ben Affleck as Batman. I think he'll surprise a lot of people. So many of us are all still hung up on his "Bennifer" days, but he's earned my respect in recent years after having become an outstanding director. What worries me most about Batman v Superman: Dawn of Justice is that Zack Snyder is directing it. While he's great at creating visual flair, I think his movies tend to fall short in substance. Also, it doesn't help that I thought Man of Steel was one of the worst superhero movies I've seen in a long time. However, after the trailers for it and Suicide Squad, I'm finally starting to feel a bit more optimistic about DC's upcoming films. Though I don't expect any of them to ever hold a candle to The Dark Knight trilogy. Thanks for stopping by and letting me know your thoughts! I just loved watching this trilogy so much. You are right, Tom Wilkinson is brilliant in Batman Begins. I should have mentioned him specifically.